AND THE WINNER IS ELIZABETH OF BOOK ATTICK. CONGRATS! This giveaway hop is hosted by I Am a Reader Not a Writer. Why Lunar Love? Well, March 8th is a Full Moon. Don't you just love the moon? Affecting everything from the tides of oceans, to the moods of women, and the muses of writers and readers. So yeah, several blogs are taking part, with lots of amazing gifts to be won by book lovers. Check the full list of participants. Entries close March 13, winner announced here on the 14th, and I'll send them an email soon after. 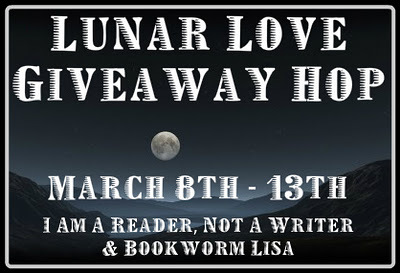 To enter - Leave a comment about a werewolf book or movie you've read/seen, and your email address. 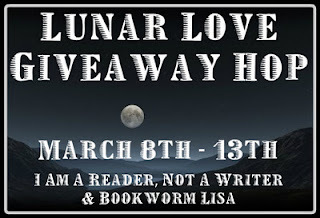 My Giveaway - The rule is to giveaway a book with paranormal, supernatural, science fiction or space travel element or a book that has something to do with the moon or has a moon on its cover. As it happens, I have just the book. 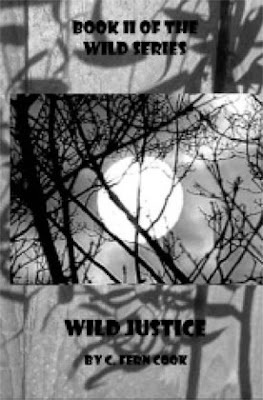 I got Wild Justice as an early reviewer on Librarything and enjoyed reading it, and now I want to pass on it on to someone else. 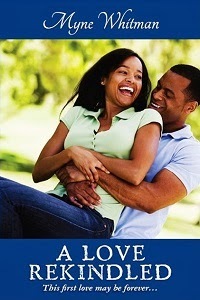 Continue reading to see the description and book excerpt. Dan tosses and turns while Angela falls directly to sleep. He props up on his elbow watching her sleep. They named her right, she is an angel. I don’t think I am the man she deserves. He gives her an ever so light kiss on the cheek and whispers, “I’ll do my best.” He lies down again to try to get some sleep. Sleep comes, but it is not restful for Dan. In his dreams, his subconscious releases its anxieties. Everyone is seated; Dan and Angela are at the altar. The preacher is giving his wedding spiel. Suddenly his tongue seems too big for his mouth; his teeth protrude over his lips; his tongue dangles over his bottom lip and droplets of saliva drips down his chin. The preacher stops and stares with mouth hanging open in awe as Dan slobbers down the front of his tuxedo. Dan’s face twitches, then blooms it into tingles with an irrepressible urge to scratch. When he digs at the stubbles popping out on his chin, the stubbles turn to fur. Angela steps back in awe of his transformation. She drops her bouquet but doesn’t take her eyes off his bizarre changes. Dan sits back on his haunches and looks over the crowd in the church. Many have stood up and a few are backing up, ready to make a fast exit. Ella stands and points her finger at him and yells out for all to hear, “I told you. I told you he has something to hide.” Angela joins the rest of the guests and backs away from Dan, who is standing on all fours at the altar. A few muffled screams can be heard in the crowd. Dan lifts his head back and gives out an ear-splitting howl. He looks over the crowd one more time, then bolts down the aisle in his altered state of being. All of the guest move out of his way as he runs out the church doors. Dan eyes pop open, a cold sweat beads up on his forehead. He licks his lips; his mouth is cotton dry. He turns over and sees Angela still sleeping soundly. He slips off the side of the bed and tiptoes downstairs.